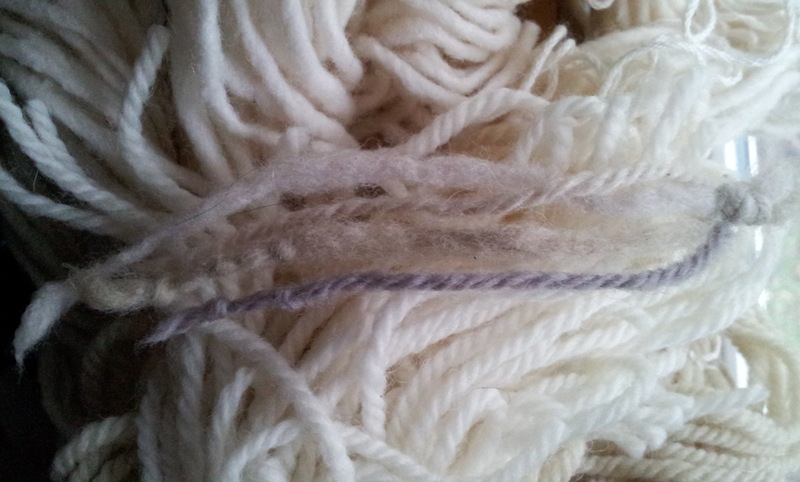 After a break of several months—not a bad thing—I’m back in my cottage studio and the dyepots are heating up. I’ve been playing with ecoprinting and decided it was time to commit to a finished piece rather than continue making small samples. 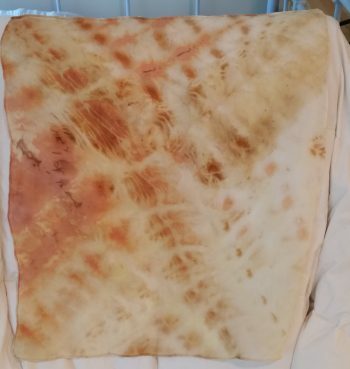 So I retrieved from my stash an alum-mordanted wool/silk square, large enough to be a pocket square, and made a bundle using leaves collected on my daily dog walk: lupine, maple, blackberry, ginko, and something I have yet to identify. 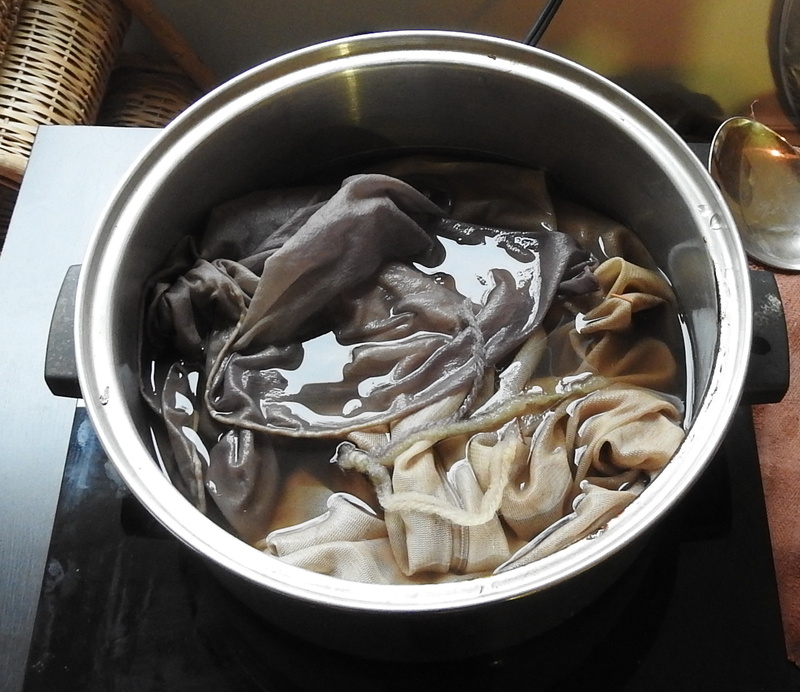 I had a little net bag of Lobster parings (Hypomyces lactilfuorum) left over from a workshop in April, so I decided to simmer them while at the same time (with the help of a wire sieve placed over the dyepot) steaming the wool/silk bundle. I let the little dyepot simmer (Lobsters can handle boiling) outside. When I went to check it after half an hour or so, I found the dyebath bubbles reaching up into the sieve. 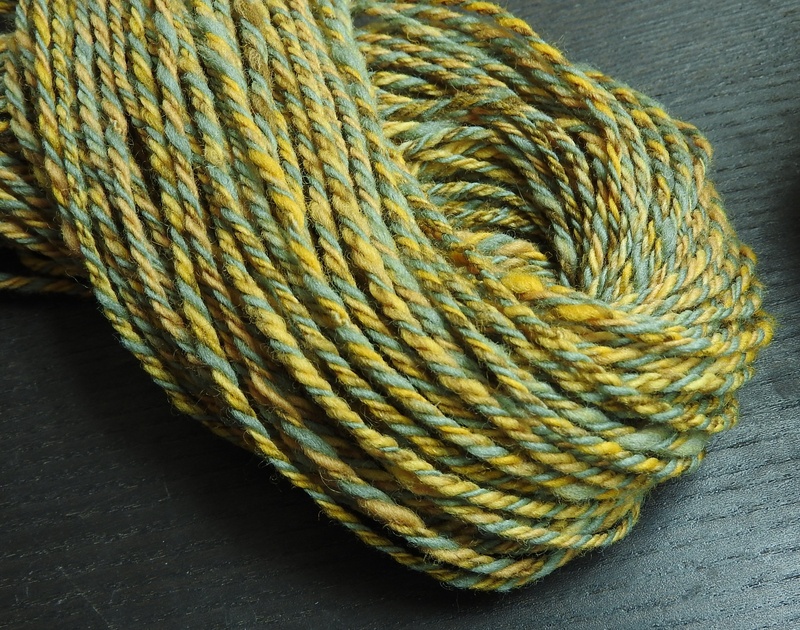 The colour on the fabric looked pretty intense, so I turned the bundles over to expose another side to the steam. I was surprised by the intensity of the color, and disappointed to see only the merest suggestion of an ecoprint. That particular fabric is woven fairly loosely, which I believe is more difficulty to print on. 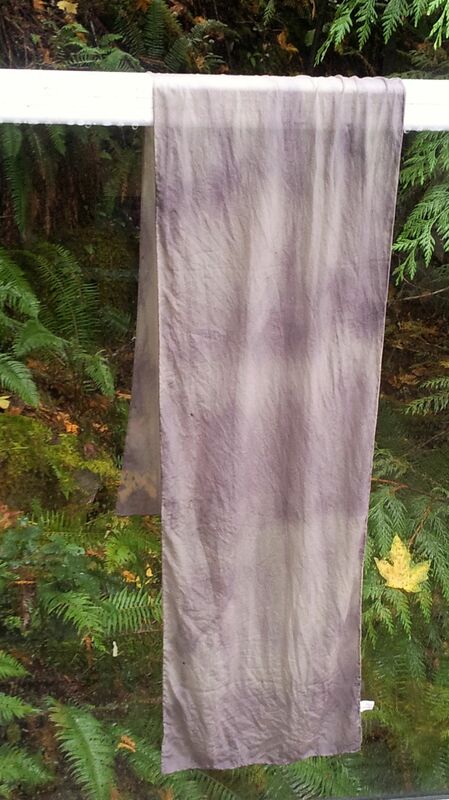 I let the fabric dry, then ironed it, then rinsed it in warm water, then ironed it again. I see some interesting playtime with this process . . .
My freezer has been home to masses of frozen Ramaria collected for the Fungi and Fibre Symposium dyepots, but I wanted to be sure it would give some good colour after being frozen for nine months. 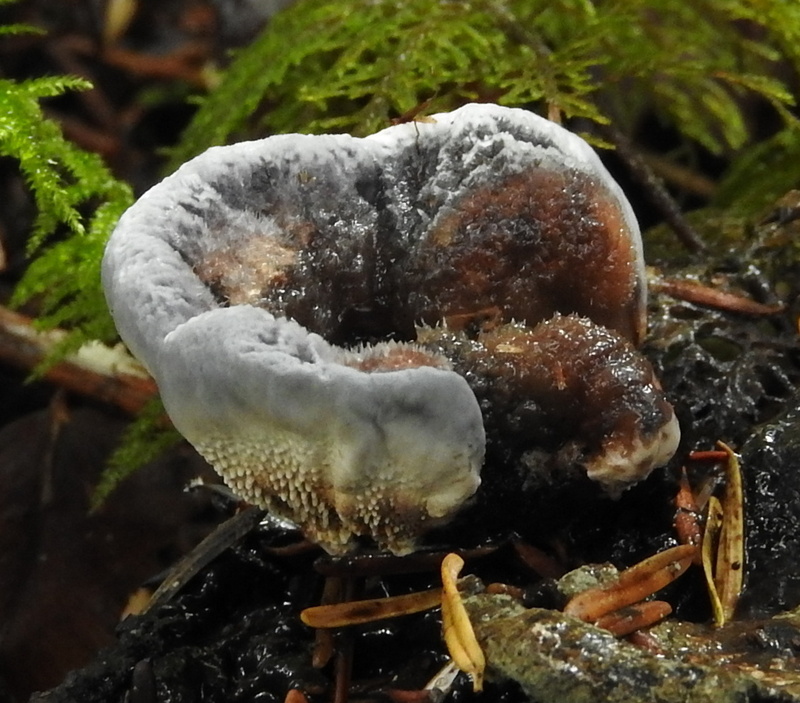 My earlier experiments with the frozen version of this mushroom resulted in a decent purple, but I didn’t want to take a chance on seeing a dozen international visitors hovering over a dyepot, watching and waiting for purple. And ending up with a blah beige. 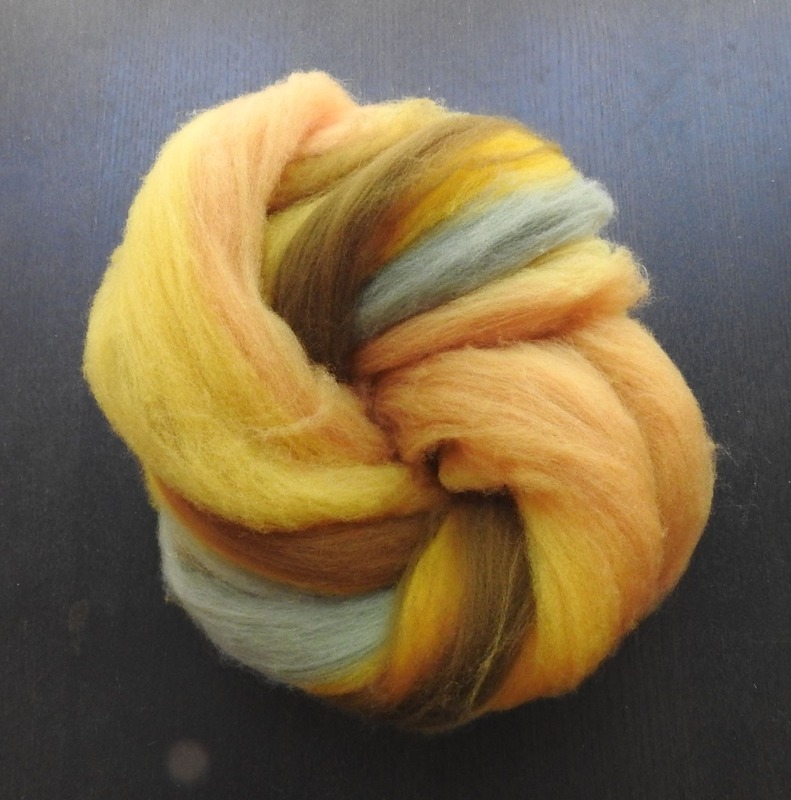 So this lovely orange coral appeared in my Back Forty at the perfect time, when plans for the event are ticking along nicely and when my hands really needed to get into some dyepots. 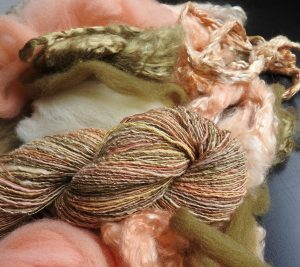 The coral came home with me and went straight into my sample dyepot along with a few strands of iron-mordanted yarn. 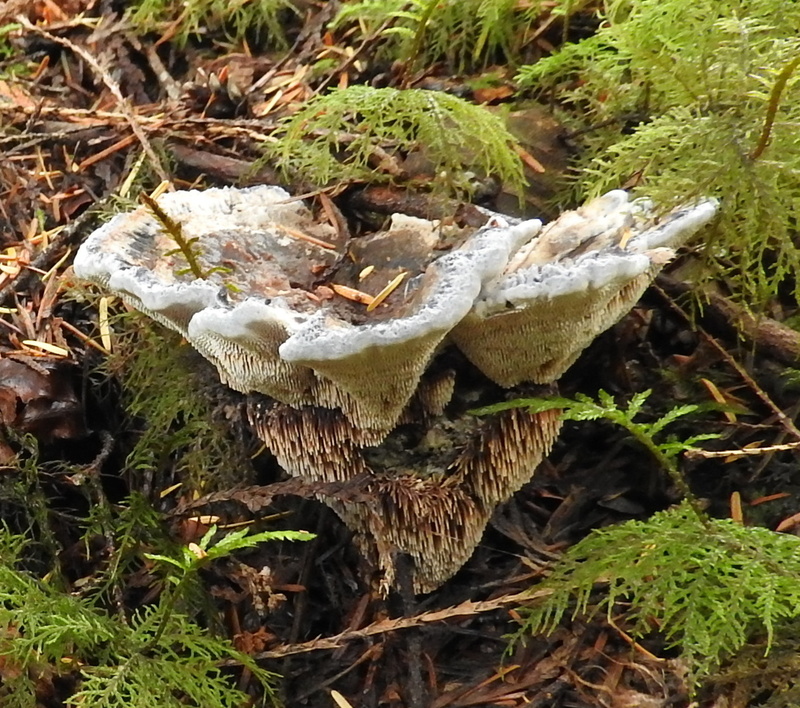 First, it doesn’t appear that the purple from Ramaria is quite so finicky as the other purple-bestowing mushrooms when it comes to temperatures (specifically Tapinella atrotomentosa and Omphalotus olivascens, which need to be watched carefully and pulled at ~160° F). Clearly the dyebath shouldn’t be allowed to reach boiling, but 170° F was the optimum for the first two sets of samples. 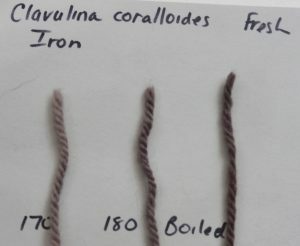 My second discovery: freezing Ramaria works if done for a short time but not for the nine months I subjected my stash to. 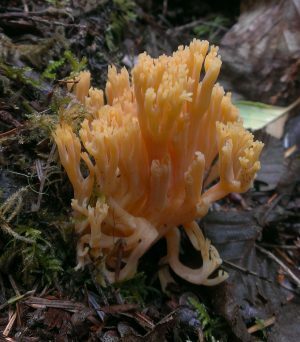 So I returned the Symposium orange coral to the forest floor, and now I’m hoping for an outstanding harvest this year so our registrants won’t be disappointed. At the same time as I found the Ramaria, I also found Clavulina coralloides in various stages of infection with Helminthosphaeria clavariarum, a fungus that routinely parasitizes this little coral. Since I was planning on doing some sampling anyway, I decided to try this one too—with the darkest of the infected coral—on the off chance the deep purple of the parasite might translate into the dyepot, again with an iron-mordanted test strand. More grey than purple, but clearly darker with more heat. Worth playing with some more? I don’t think so.